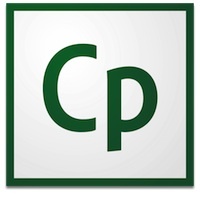 Captivate Essentials - An Introduction to Captivate is a three – day course designed to teach the core Adobe Captivate skills needed to create interactive eLearning and mLearning content. By following step-by-step instructions, you will learn how to create a soft-skills lesson from scratch. You’ll learn to record and produce software demonstrations, and interactive training simulations. This course will take you through three e-learning projects: a demonstration, a simulation and a SCORM-compliant quiz. Corporate training professionals, educators, instructional designers, and all types of business users with limited programming capabilities who want to create product demos, application simulations, soft skill and compliance training, and mobile learning. Also educators and trainers who are currently using PowerPoint and need to add interactivity to their training materials.